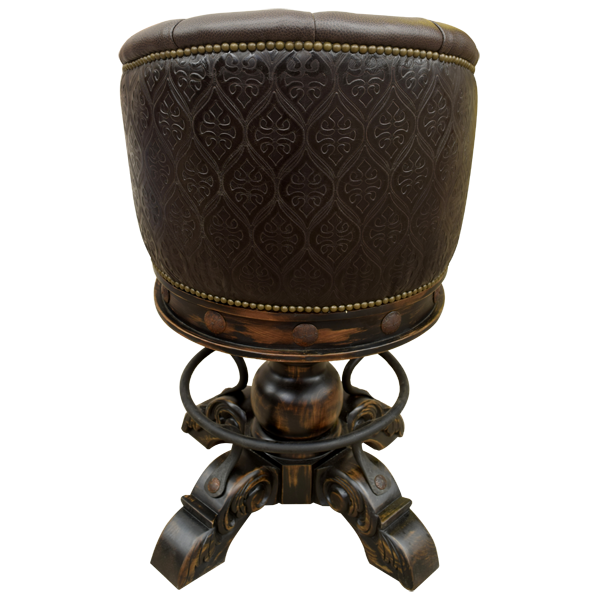 With its traditional Spanish colonial design and elegant genuine contrasting leather, this bar stool is a classic in whatever setting it is placed. 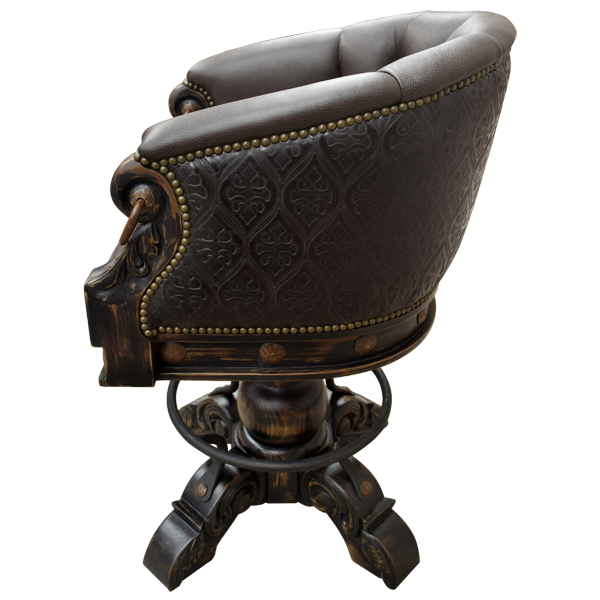 This bar stool exemplifies excellent whether in your home or at the office. 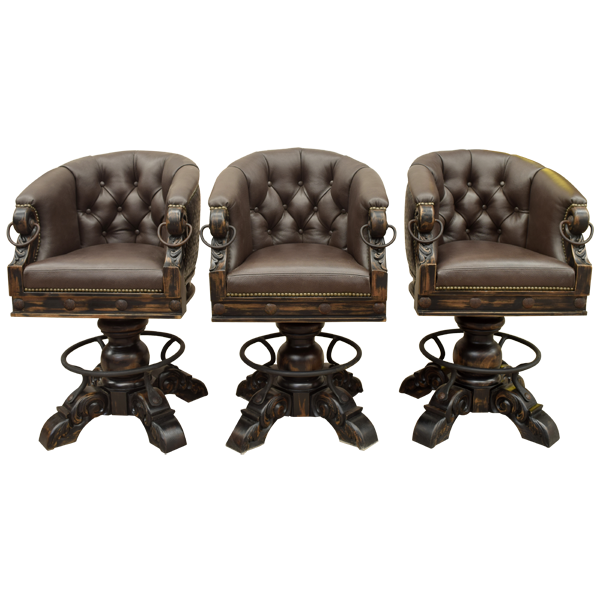 The seat and the inside seat back are upholstered in rich dark chocolate colored full grain leather, and the reverse seat back is upholstered in a dark brown highly embossed full grain leather. The design of the bar stool is enhanced by the button tufting in the central part of the inside seat back. 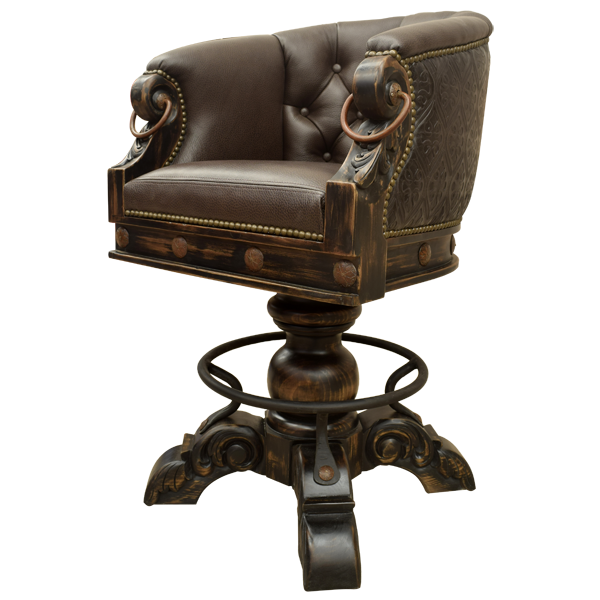 The colonial design is continued in the hand forged iron conchos in the lower body of the bar stool, and in the ornate hand carvings and decorative hand forged iron rings in the armrest. 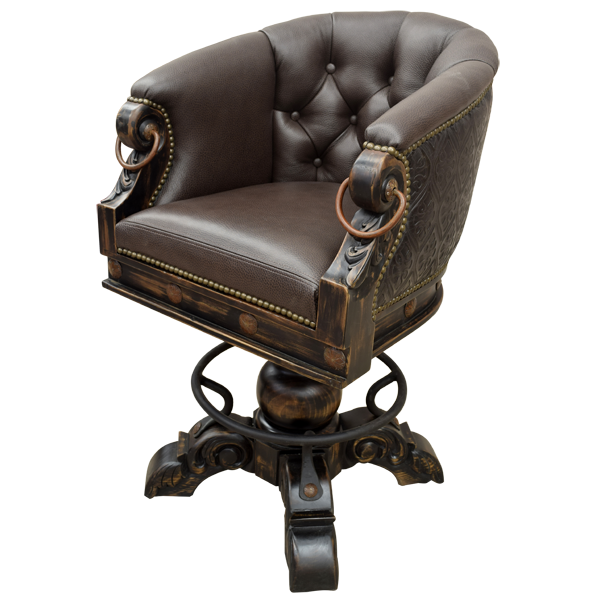 The full grain leather upholstery is painstaking hand tacked around the entire body of the bar stool. 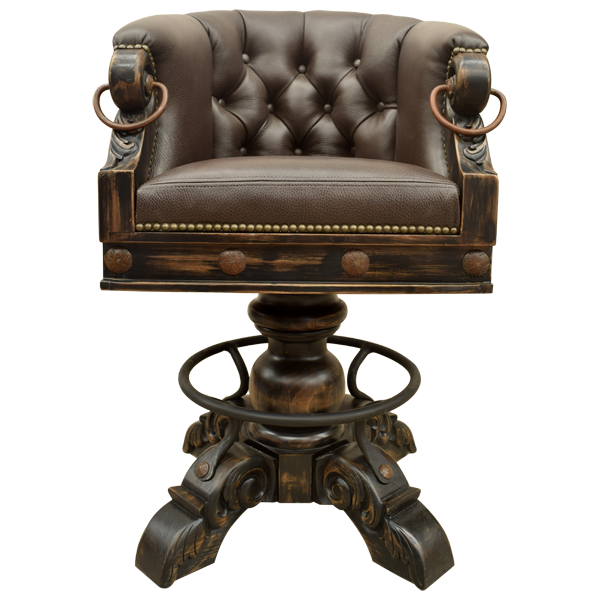 The comfortable seat rest on a hand turned wood trumpet pedestal that is supported by four hand carved feet, joined by a hand forged circular footrest. The bar stool swivels 180° and is 100% customizable.